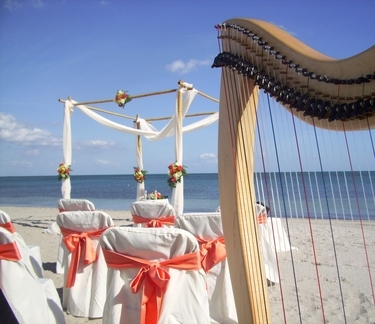 Devon Carpenter, harpist, is a professional harp player providing music for destination weddings around the globe. I am based in the US and available for travel worldwide, including for events in the Caribbean, Hawaii, Central America, South America, Europe, the Middle East, Africa, Asia, Australia, & Oceania. The elegant music of the harp is the perfect addition to your wedding ceremony, reception, or party. You can also have harp music at your wedding by working with me to create a custom recording of harp music for your ceremony! Please contact me for availability, and check the links below for selected destinations! This list is a sample of popular destinations, but I'll take my harp anywhere in the world! 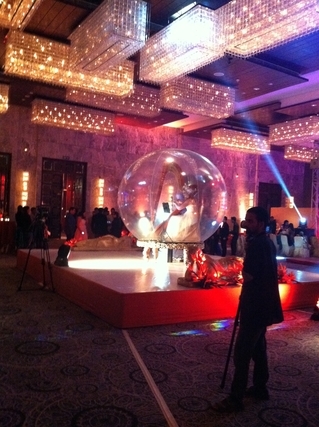 Please contact me with the specifics of your event. I handle all necessary visa and import documents. If import duties will be owed on the harp (this is a rare occurrence), those will be discussed in advance. If fees are refunded upon taking the harp out of the country, those funds will be promptly reimbursed to you.